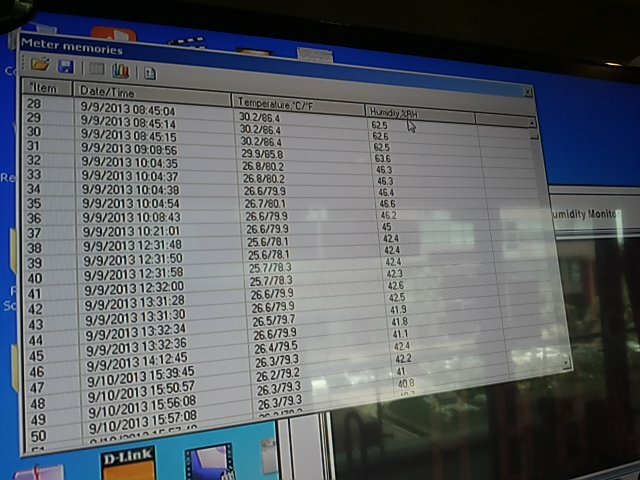 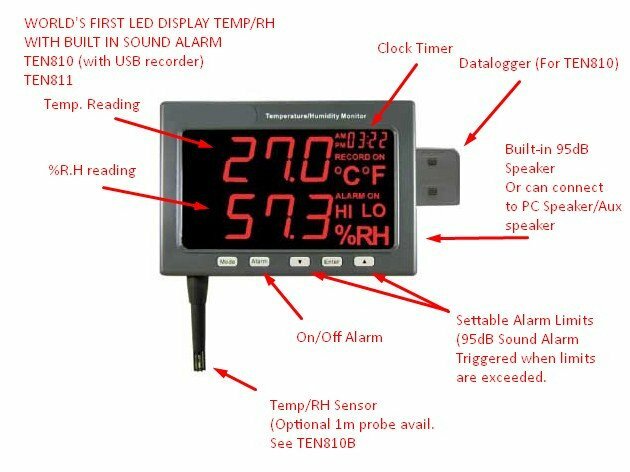 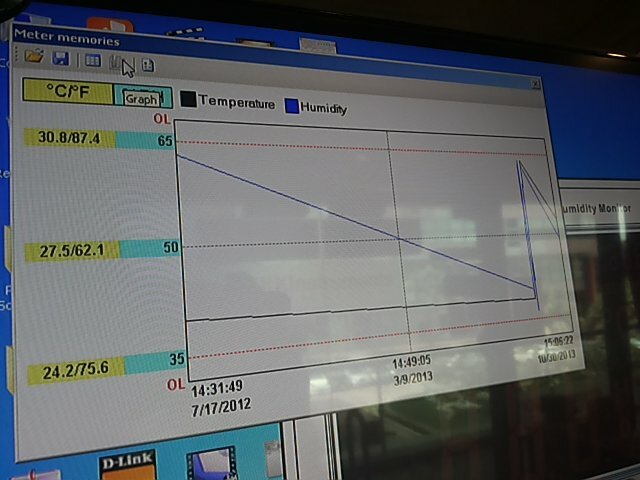 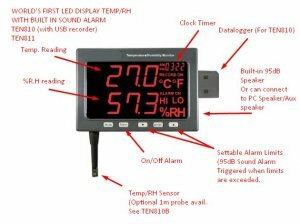 This data logging temperature / humidity monitor can be wall mounted and features an easy to read LED. 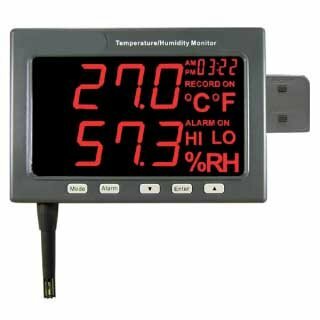 It is capable of datalogging 30,000 records and is perfect for temperature and humidity monitoring in controlled environments and other critical areas. 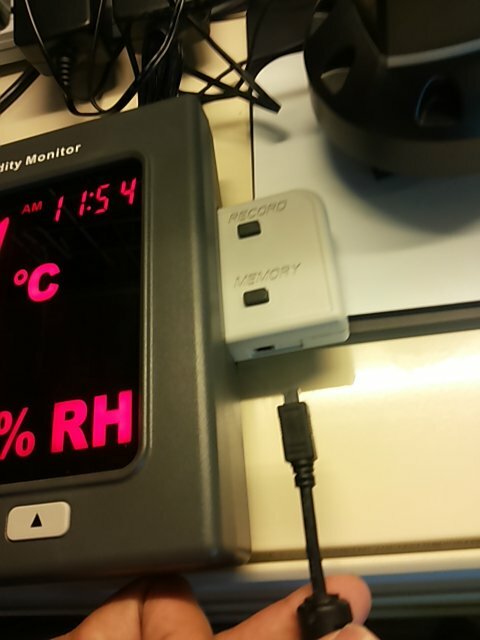 Warranty: 1 year. 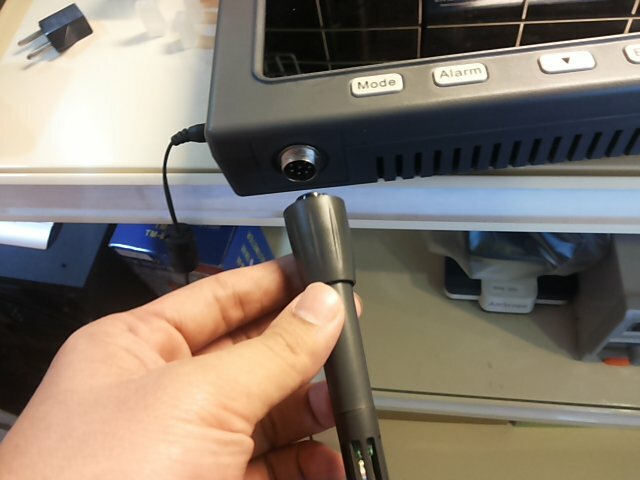 DC 9V battery enables continued recording without display reading during power disruption for an hour only.